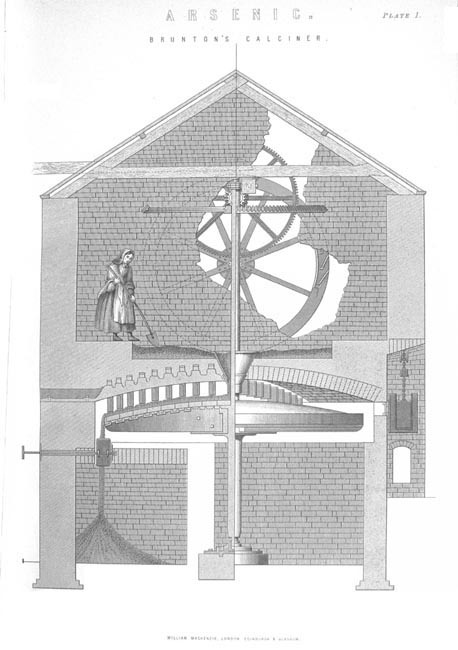 Before about 1720, mining operations in Cornwall were very simple. Where mining was a family concern, the men and older boys would be involved in the heavier work. 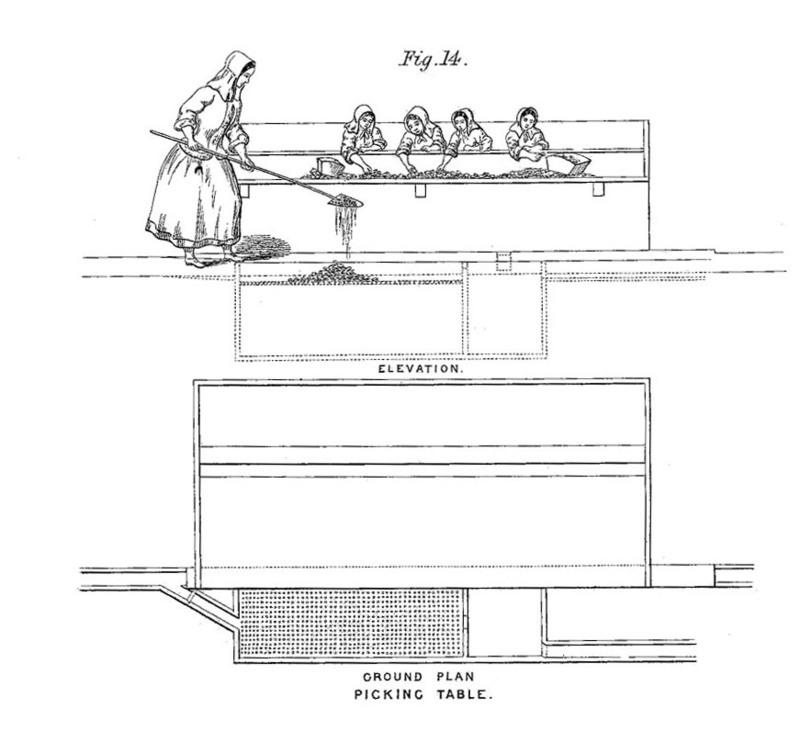 The women, girls and younger boys may have been involved in washing, panning, sorting ore from waste, or grinding or breaking down rock-bearing ore.
From about 1720 onwards, with more reliable water pumps, ore could be raised from deeper levels. Mines began to employ in much larger numbers, including the workers needed to dress the copper and tin ores being raised. It was mainly women and children who were taken on for these tasks. Girls generally started work between the ages of 10 and 15 years, but some were only 6 or 7. They would usually continue at the mine until they were married. 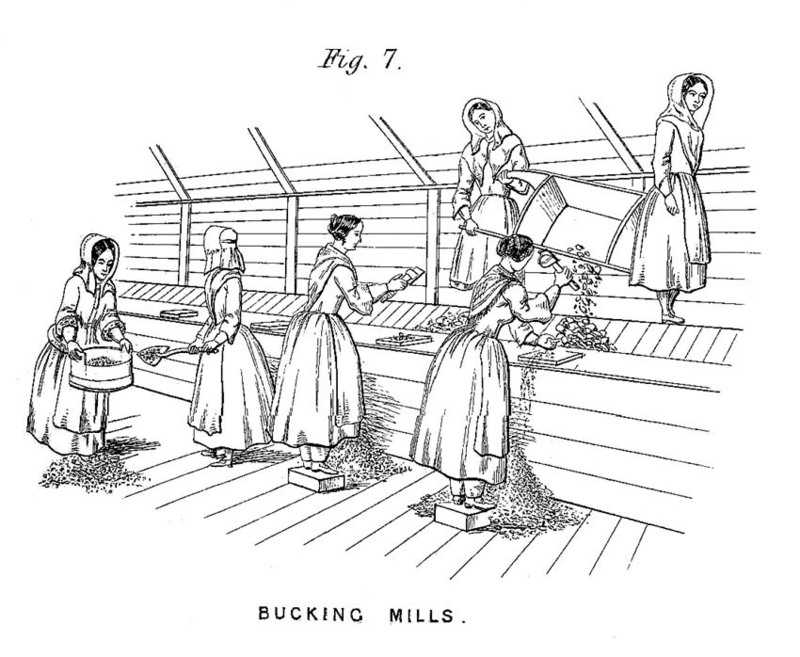 Older single women and widows were also employed. In the 1840s and 1850s, depending on age, they would be earning between 4d and 8d per day. By about 1880 this had increased to 8d to 12d. As ore stuff was brought to the surface at the tin mines, it was initially broken by male labourers, and then ‘spalled’ (broken) by older women or girls, using a long handled hammer. This was then stamped and the resulting finest material sent for separation at the buddles (usually attended by boys). It then went for further separation at the trunks and kieves, until the finest slimes of all were separated at the tin frames. Girls or boys attended the first of these two operations. Framing was a highly delicate task, and was allocated to younger women and girls. 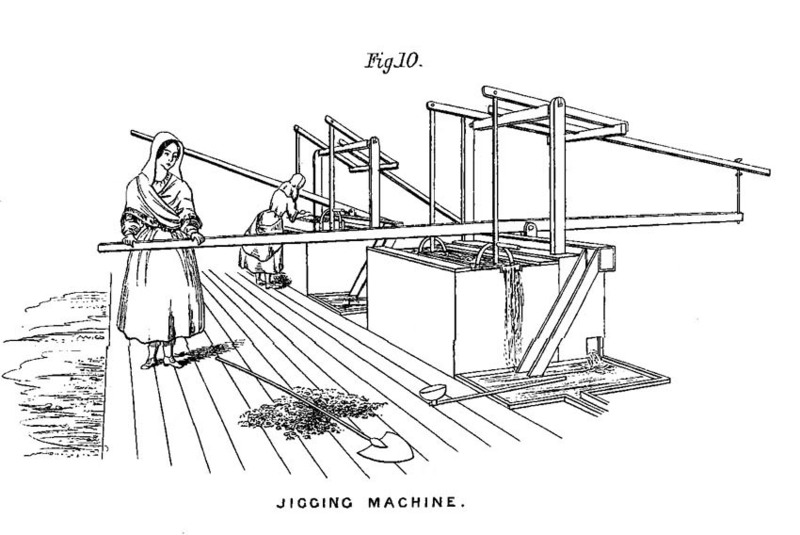 The jigging (sieving) of the heavier particles was a task done by stronger boys or women (when done by hand), or by boys or girls when using the semi-mechanised jigging boxes. At the copper mines the tasks differed slightly. After spalling, the youngest girls (7-11 years) washed and sorted (picked) the different ores. This was a highly skilled (but wet and dirty) job. 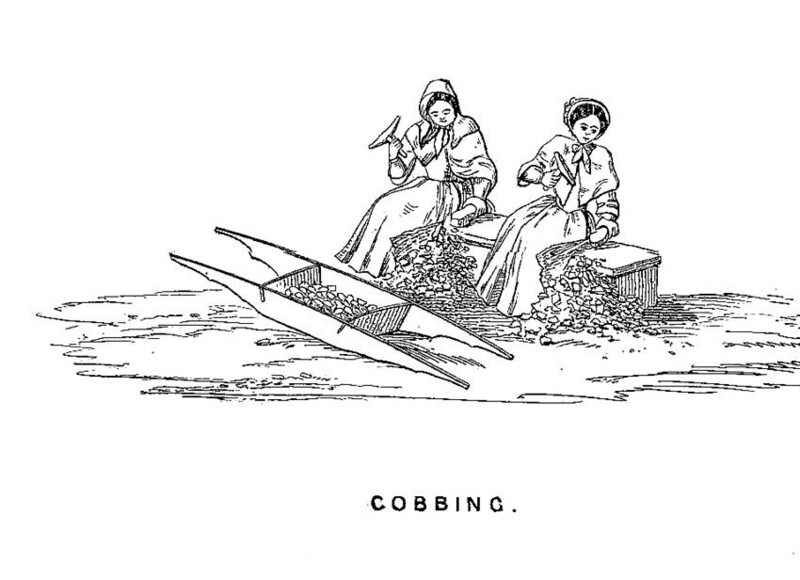 Next, ‘cobbers’ used a short handled hammer to break the picked ore into hazel nut sized pieces, and then ‘buckers’ used a flat faced hammer to grind the cobbed ore into a fine powder. Both of these tasks were demanding; only the most robust women and girls were able to do the latter. Buddling and jigging were carried out as for tin. 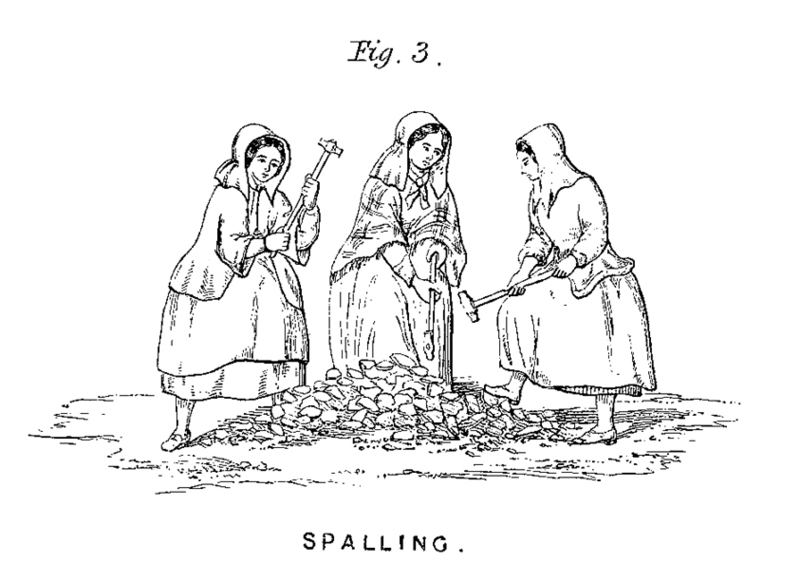 Teams of women and girls were also employed in griddling or barrowing. They would work in pairs using hand barrows, carrying over 1.5 cwt between them. 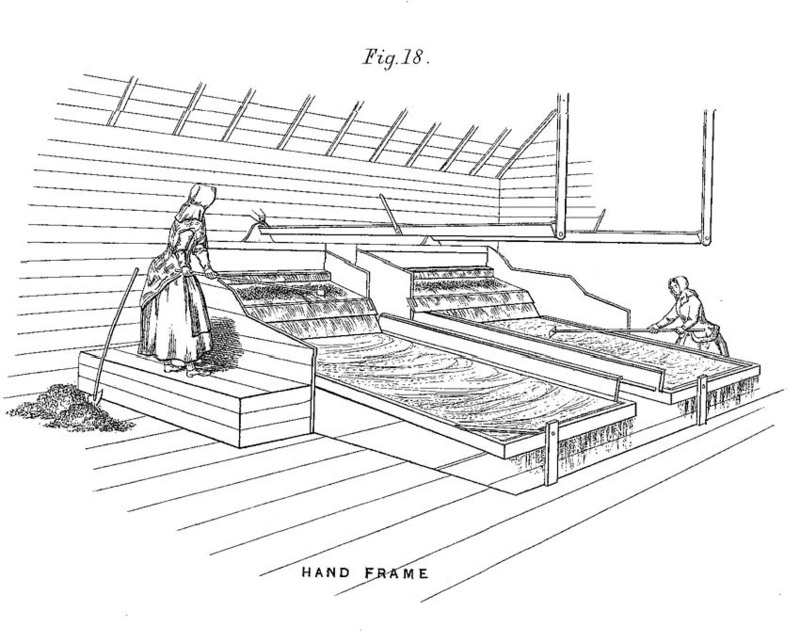 Girls or women were sometimes employed at the calciner, where they fed arsenical tin or copper ore into the furnace via the hopper, in order to separate out the arsenic.